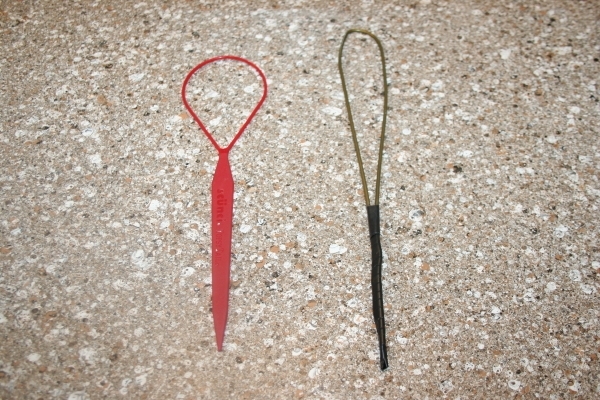 Since quite a few of my hairstyles use flips, many followers have been asking where they can purchase a Topsy Tail tool. It can be purchased online at Amazon (via the link), on Ebay, or locally at your Claire’s, Wal-Mart, Target, or Sally Beauty supply. 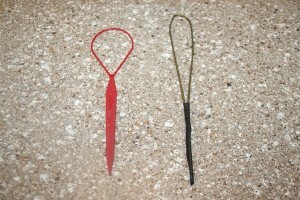 As we all know, things are not made as sturdy as they used to be years ago… in fact, many of the Topsy Tail manufacturers today make them out of cheap plastic. The problem is that if you do not loosen the ponytail enough before you use the tool, the tension while pulling the hair through causes the tool to break. The Topsy Tail tool that I have been using is very sturdy, because it was one of the originals my mom bought back when I was a little girl. But, you simply do not have to spend $2-5 (not including shipping) online or spend hours hunting through the stores trying to find a Topsy Tail tool. We are going to show you how to make one with stuff you might already have at home! 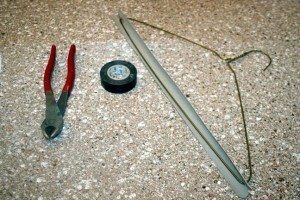 Items Needed: Wire cutters, electrician’s tape, and a dry cleaner’s wire hanger. Not only do we show you how to make the Topsy Tail tool, but we show you how easily the homemade one works on a basic ponytail flip! If you like this tip… be sure to let us know!